ne of Parkers more daring models was the Frontier, introduced in 1996. 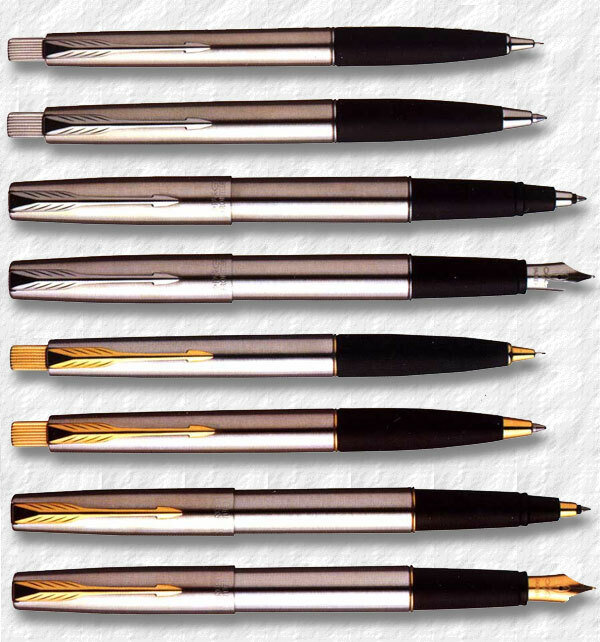 It had a moulded ABS barrel with a stainless steel cap and a gold plated stainless steel nib. 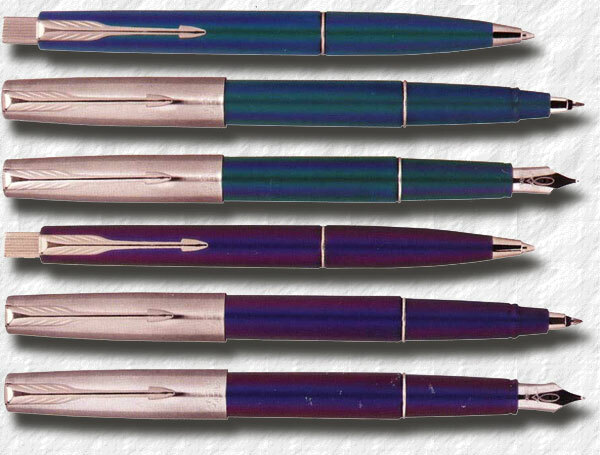 It also had a Diamonite trim, a gold plating method with 50% gold and 50% titanium. 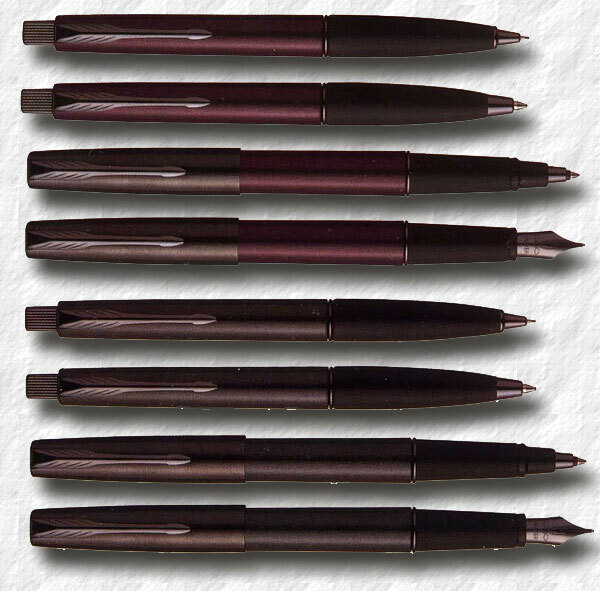 This pen has been around for a decade, exist in numerous designs and it sold in great numbers. 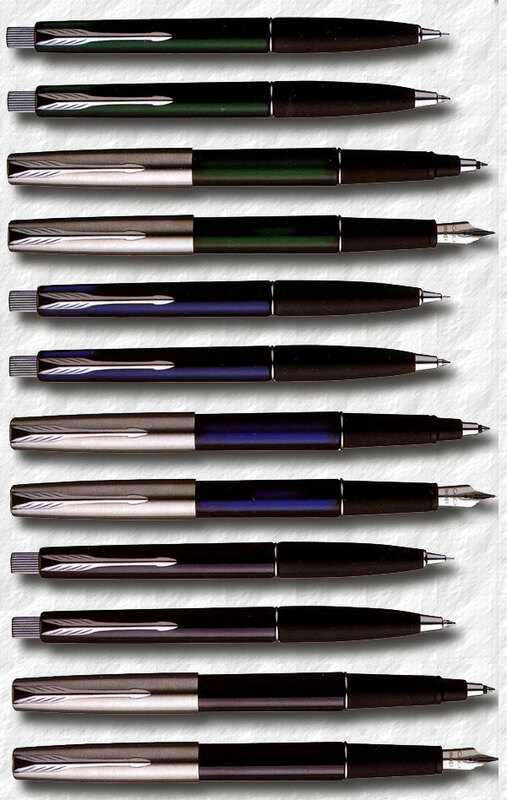 Moderately priced around $20 one of the winner designs of Parker. It was phased out in 2012. 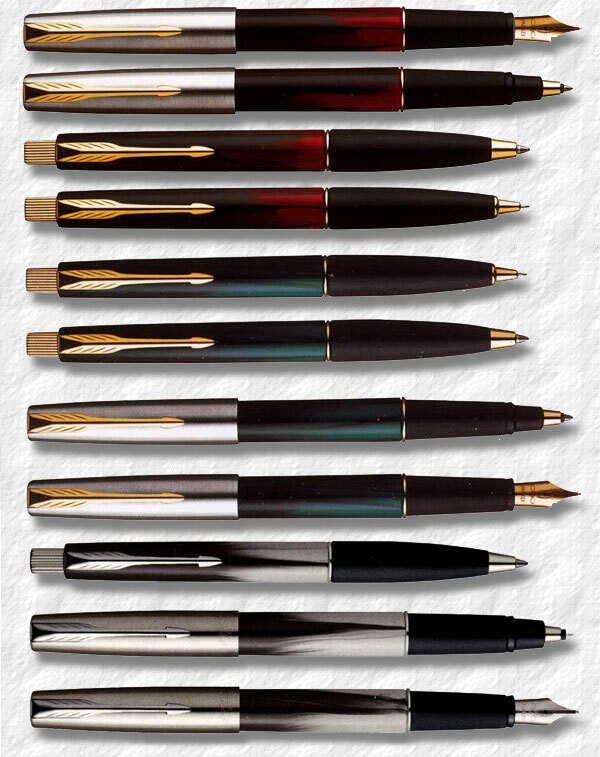 © 1995-2019 Tony Fischier and The Parker Pen Company®/Sanford Ecriture. Everything on this website is copyrighted by law and can not be used without written permission from the author, Tony Fischier. You may however use the information as reference material and although it is forbidden to make digital copies or reproductions it may be physically printed for personal use, which does not include use on other web pages or in advertising. You may however quote parts of the content of this website, digitally or physically, providing that the source and author is clearly stated, together with the copyright information. In the US referred to as Fair use. If you use any information on this site, add a link.